Herculaneum VI.6. Shop. Excavated 1927-28. 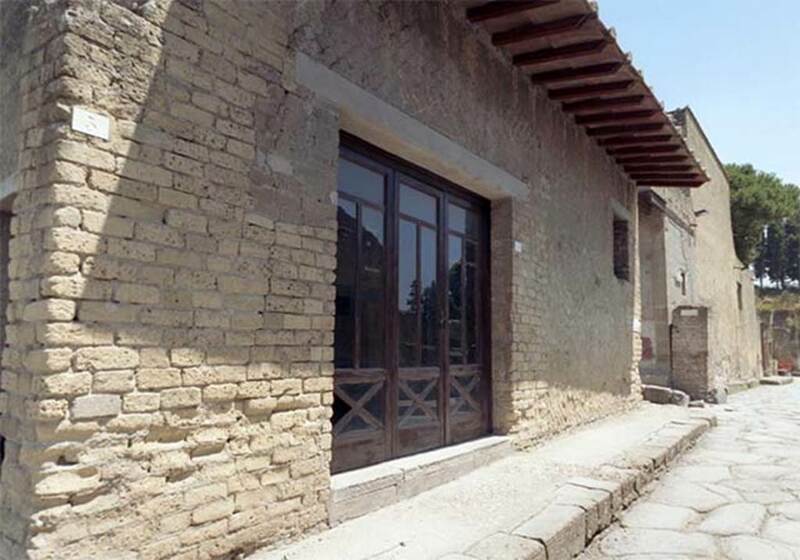 VI.6 Herculaneum. September 2004. Entrance. 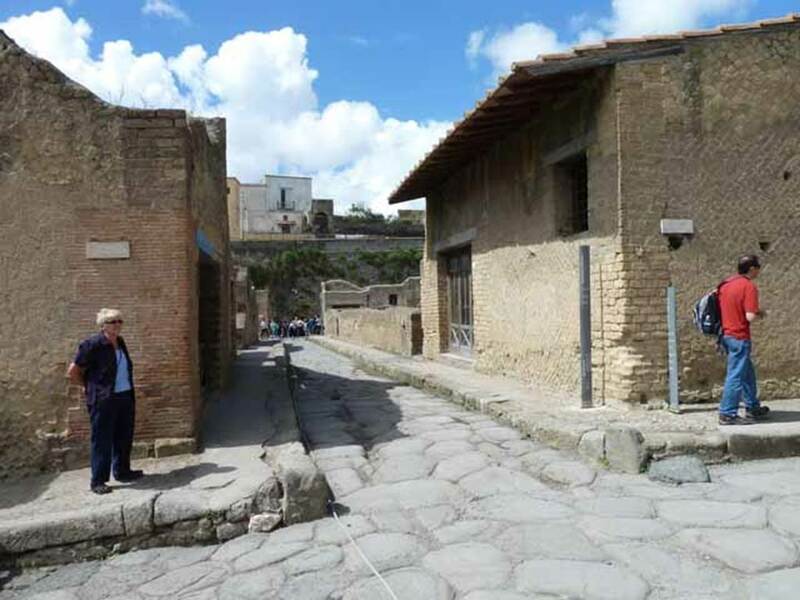 VI.6 Herculaneum, on right. May 2010. Looking west along Decumanus Inferiore, from crossroads with Cardo IV, Inferiore and Cardo IV Superiore. Looking towards Ins. III on left, and Ins. VI on right. 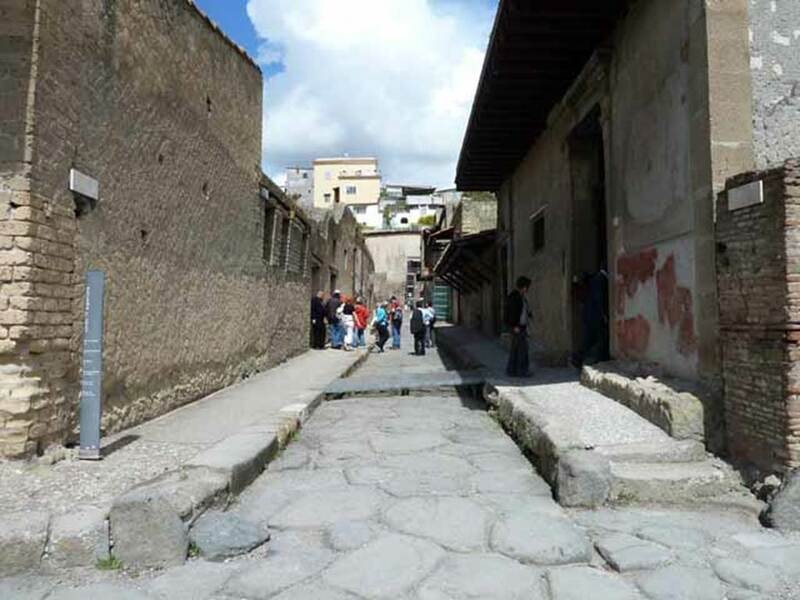 VI.6 Herculaneum, centre left, ahead. May 2010. Crossroads, looking north along Cardo IV, from Inferiore to Superiore. The road running from left to right is the Decumanus Inferiore. Looking towards Ins. VI on left, and Ins. V on right. 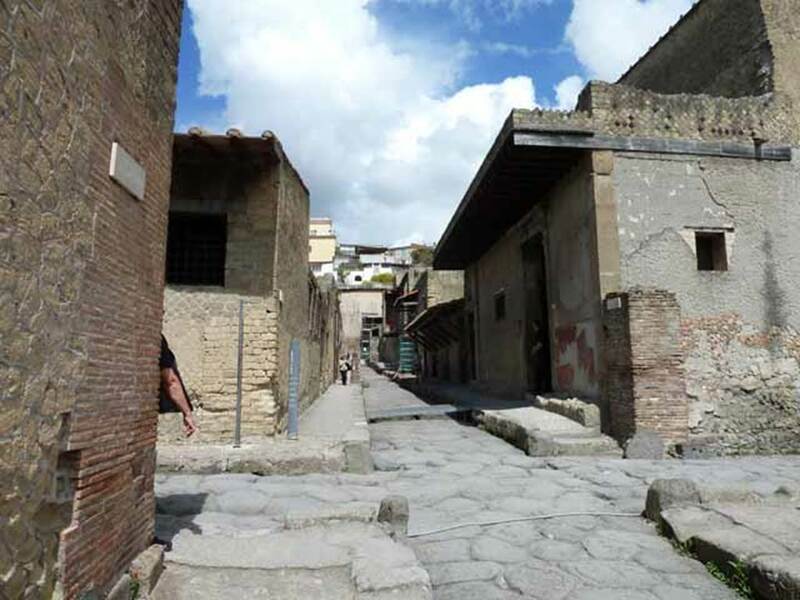 VI.6, Herculaneum, on left. May 2010. Looking north along Cardo IV Superiore from crossroads with Decumanus Inferiore.